The next meeting of NOSHA is our regular Legal Update from Browne Jacobson Solicitors and the speaker has been confirmed as Laura Hackney. We always receive excellent service by the Nottingham based solicitors so please come and benefit from Laura's presentation. Wrea Green, Preston, PR4 2PR. seminar, you only need to pay for one person to attend, the other person will go free. The cost is £85.00 and includes refreshments and lunch. Management, Accident Reporting, Mental Health and Stress to name but a few. If you have any other issues you may wish to be included please contact the Secretary before the 15th of August 2017 so that he can finalise the programme before the end of August. As a registered visitor for Safety & Health Expo, we wanted you to be the first to know about our new line up of inspirational speakers for 2017. 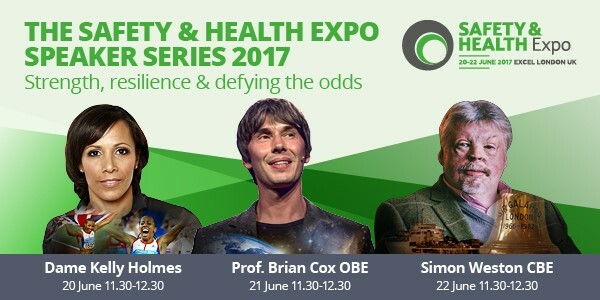 We are very excited to announce that Dame Kelly Holmes, Professor Brian Cox OBE and Simon Weston CBE will be taking to the stage to share their lessons for success in the face of adversity on 20-22 June at ExCeL London. Want your colleagues to join you at one of these seminars? Just click below to invite them to attend alongside you! Members may find information from BLM Solicitors useful when identifying the amount a fine may be following a prosecution. It is with great pleasure that I welcome you to the website of the Association. The executive and I hope that you will attend as many of the meetings as possible and help to contribute to the success and growth of the association. The strength and vitality of the association depends upon the attendance and contribution of members. Safety Knives - A Cinderella No More! by Chris Brown from Martor Ltd.
NOSHA meetings are held at 14:00 hrs. There is NO charge for parking at this venue. Click here to view Presentation(s) and Minutes. (c) NOSHA 2013. Awesome Inc. theme. Powered by Blogger.